Not a gaming post, you see, but i thought it might be useful so i’ll just leave it here… You’ve probably heard of Netflix, right? That fancy video-on-demand streaming service americans are used to hype about, making all of us non-americans super jealous, because presumably you can’t use Netflix unless you’re in USA. Well, there are a lot of guides on how to bypass that restriction, but most of them talks about methods that aren’t cheap and/or aren’t easy. Just a few days ago the collective brain of my household was able to figure out how to get our hands on Netflix cheap AND easy at the same time. So i’m writing this general directions in case someone else needs them. Oh, and the best thing – all of this is perfectly legal. Okay, first of all – why Netflix can’t be used outside of USA, technically? First, it checks your IP constantly – not just at registration, mind you – and if it’s not american, then bye-bye love! And second, it requires an american address and plastic card for payments, cards issued outside of USA won’t work either. So, to get our hands on Netflix movie, we have to beat these two obstacles. Let’s begin with IP. Most guides on how to watch Netflix outside of US are suggesting that we should buy a VPN. It stands for “Virtual Private Network” and is a network technology that creates a secure connection over Internet, so that if you send data from Germany to USA over that secure connection, to the rest of the world the data you sent will appear to be sent from USA. You can imagine it like a tunnel dug under a stone wall, so that data bypasses the wall and goes straight to the other side of the tunnel. Almost every guide recommends buying a VPN from HideMyAss.com, but it costs $11.50 per month and because all the data is coming and going between you and Netflix not directly, but through HideMyAss servers, it gets laggy and you also have to install and setup their application for VPN to work… Meh! There’s a better way, and it’s called UnoDNS by Unotelly. It’s much cheaper – from $3.99 per month – and much, much easier. 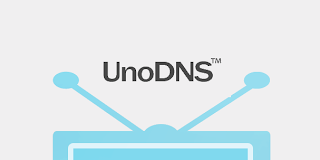 Plus, it’s not VPN, but works nonetheless – Unotelly have lots of DNS servers around the world, and all you need to do, is tell your system to connect to those DNS servers. Pretty straightforward tutorials for Mac and PC on that matter, no need to install anything, UnoDNS does all the job by forwarding your requests so that they look like coming from USA. That part is a bit harder. To register in Netflix, you can’t use any plastic cards issued out of USA, and PayPal account tied with such a card won’t work too. So, unless you’re planning to go on a trip to America to open a bank account, or have a plastic card issued in USA by some company (a few freelancing sites do that), you need to setup a virtual plastic card. It’s like the real one, just, you know, without the plastic. Many guides on how to register an account in Netflix from outside of USA recommend using EntroPay for that. It’s a service allowing users to buy pre-paid virtual VISA cards – the card is issued with a fixed amount of money and because it’s virtual, it has “no strings attached” to any particular country. The downside of this service is that you can’t put more money on EntroPay‘s virtual card via PayPal, so you’ll have to issue cards all the time as you go, and if you don’t want to use the card anymore and there are still money left… Well, meh! 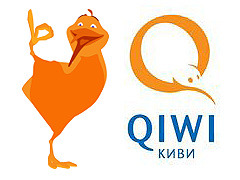 There’s this service – a virtual payment provider called QIWI. Not very well known to Western world probably, but it’s a very popular service in Russia, you can’t go around any city without bumping in one of their terminals. And recently they partnered with Visa to issue virtual plastic cards! To get a card, you first have to register a virtual wallet, it will be tied to your phone number, and then you can issue any number of virtual VISAs on that wallet. The bright side is that these cards are very, VERY cheap and easy to issue, have separate balances and money can be added to QIWI virtual Visa at any time. They can even be used for one-time purchases. Now, let’s assume you’ve got a trial account at UnoDNS, registered yourself a QIWI virtual Visa and had no problems doing all of that because each provider has lots of FAQs and Help files and stuff like that. Now what? Now, you need to go to Netflix website – isn’t it nice to be finally hailed as a person who can actually register in the damn service? – and start creating an account. It will ask for your name and plastic card data, enter what you’ve got. It will also ask for an US zip code. There are people who simply entered 90210 – the zip code from that famous old tv show about Beverly Hills – and it worked for them. Or you can use Google maps to find an address, that is what other people do. Or, if you have any pals in America, you can ask about their zip code, i’m sure no one would raise a stink over you using their zip code to simply watch online movies.